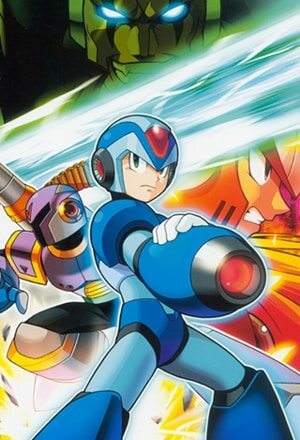 Nintendo of America have detailed the latest content to hit their Virtual Console, WiiWare and Nintendo DSiWare services, marking the return of Mega Man X alongside opportunities to check out BIT. TRIP CORE or even practice your piano skills. The future of Mega Man has arrived. Hundreds of years after his death, Dr. Light’s final creation is discovered. Released from his capsule by Dr. Cain, X is born into a future world where robot rebellions are a thing of the past. But when Dr. Cain tries to implement Dr. Light’s designs into a new series of Reploids, something goes horribly wrong. Now the future lies on the brink of destruction, and X must use all of his newfound powers and abilities to hunt down the maverick Reploids and their leader, Sigma, before the human race is wiped from the planet. Have you always dreamed of having a cute little baby to lovingly care for? Now is your chance. Your little bundle of joy smiles at you gleefully, and you have to do everything you can to make sure it develops and grows in a healthy manner. Changing, bathing and feeding are as much a part of your duties as shopping, preparing meals, rocking your baby to sleep, playtime, dressing and teaching it to crawl and walk. But above all, what your little angel needs is your love and attention. All this, plus an enormous selection of toys, clothes and other objects, will make your little one the happiest baby in the whole wide world. Search the depths of the sea for lost treasure in this charming underwater adventure. Take control of a yellow submarine equipped with a mechanical arm that can grab treasure off the sea floor. Explore an underwater labyrinth of caverns and caves littered with treasures but surrounded by deadly sea creatures. Fire missiles forward to attack creatures in front and launch missiles upward to fend off dangers from above. Keep an eye out for keys that can unlock doors to deeper caverns as you gradually make your way to the hidden chamber where the giant underwater boss awaits. Entertaining and accessible to everyone, DodoGo! Robo is a puzzle game in which you have to use your head to avoid getting broken. There’s no need to have any knowledge of previous games to explore this new installment in the DodoGo! series. Become the well-known Robo-Egg and collect the maximum number of icons scattered around new puzzle levels. Use the stylus to help your Robo progress, then click on the Play button to see the result. You can even change your route until your Robo picks up all the icons for the level you are playing. The entire orchestra follows your performance of 15 great classics. By playing each day, your ability may increase. Earn the bronze, silver and gold medals for each song, completing all different levels. A simplified music score is shown on the upper screen and a full piano keyboard appears on the touch screen, guiding beginners note by note. Songs include classic compositions by Bach, Tchaikovsky and Chopin.